As the Washington Capitals' postseason hopes went up in smoke last night, what once exemplified one of hockey's greatest rivalries suffered yet another blow. And, while that likely constitutes an afterthought for both a Washington club seemingly headed in the wrong direction and a Pittsburgh squad struggling with recent playoff setbacks, the rest of us can't help but wonder about a rivalry that hasn't evolved into more. 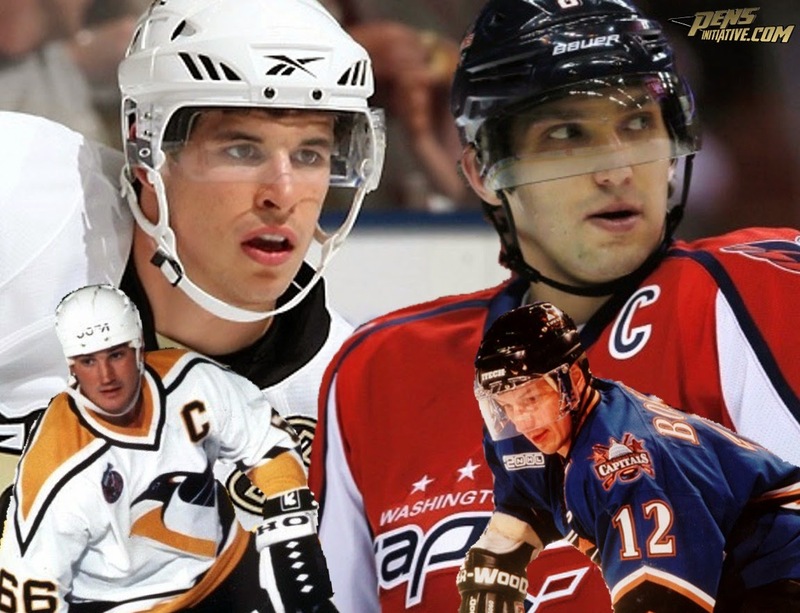 When Sidney Crosby and Alex Ovechkin burst on the scene following the 2004-'05 lockout, their careers were destined to intertwine. Not only would they help their sport's effort to repair a tarnished image, but it seemed inevitable that the superstars would rejuvenate an old rivalry, a distaste that held its roots in the old Patrick Division. The arrival of a franchise player in each Pittsburgh and Washington brought with it cravings for a return to the epic contests, the improbable comebacks and the almost annual postseason clashes fans enjoyed (mainly in Western Pennsylvania) throughout much of the '90s. And, while both the Penguins and Capitals struggled coming out of that lockout, Crosby and Ovechkin quickly laid the foundation for their personal rivalry. The two rookies took the league by storm, each eclipsing the century mark in terms of point production. Ultimately, the Washington phenom claimed the Calder Trophy as rookie of the year but Crosby responded the following season, earning the Art Ross, Lester Pearson and Hart Trophies. As the two continued their dominance of the NHL, their respective clubs grew up around them, quickly climbing the Eastern Conference leaderboard. With that maturation came division titles, playoff experience and the renaissance of a rivalry between two franchises racing toward Stanley Cup glory. While regular season contests between Washington and Pittsburgh always proved entertaining, hockey fans finally got what they really wanted in 2009: a postseason matchup between Crosby's Pens and Ovechkin's Caps. It didn't disappoint. Much to the delight of the hockey world, the series produced a "double hat trick" courtesy of Crosby and Ovechkin in Game 2, three overtime contests and two squads seesawing back and forth in a tightly contested seven game series. Ultimately, a pair of overtime tallies courtesy of Kris Letang and Evgeni Malkin propelled the Penguins back from a 2-0 series deficit, setting the table for Marc-Andre Fleury's jaw-dropping save that catapulted Pittsburgh to a Game 7 victory. At the time, the second round series seemed to be somewhat of an appetizer, the first of many showdowns between two of the league's up-and-coming teams. In hindsight, it proved to be the culmination (to this point) of a rivalry that appeared destined for so much more. Following one of the most memorable playoff series in recent memory, the Pens and Caps haven't come close to providing the magic they treated fans to in 2009. Sure, it's always a spirited battle when the clubs get together, but the rivalry has steadily cooled since that single postseason matchup. In part, things tailed off when Crosby suffered through his concussion battle and Ovechkin struggled with a brief decline in production. In the end, the matchups just didn't feel the same without the big guns in the lineup or performing at their best. With Sid and Ovie once again healthy and torching opposing goaltenders, however, most would still consider the rivalry fairly dormant. After all, since the start of last year, the Pens have dominated Washington, posting a perfect 7-0 record. In fact, Adam Oates has yet to defeat Pittsburgh behind the Capitals' bench. Ultimately, though, rivalries are born and cultivated in the playoffs. And, unlike what we saw in the '90s, the Penguins and Capitals simply haven't battled one another enough in the postseason to really light a fire and take things to the next level. Could that change? Absolutely. Particularly with a new playoff seeding format focused on creating divisional matchups. But with the Caps recent struggles and their exclusion from the 2014 postseason, there aren't any signs pointing toward the kind of epic showdown we witnessed in 2009. And, as a result, we're currently left with a shell of the rivalry that could have represented so much more.